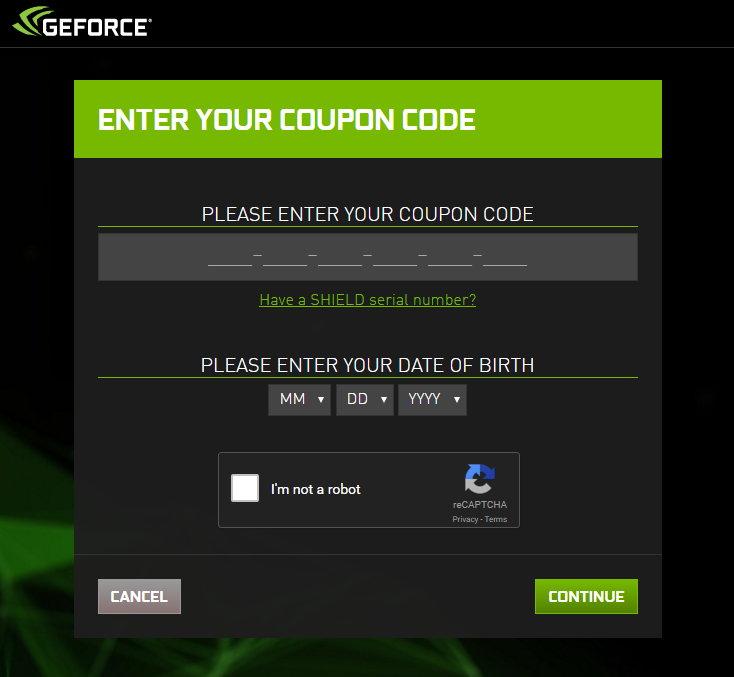 NVIDIA Home > Support Home Page > Knowledgebase Home Page > My game code is not working and shows as already redeemed. Why does my free game code show as already redeemed or invalid? -Make sure to enter the code in all CAPS with the Dash's/Hyphens included. -If you are copying and pasting, make sure there are no spaces before or after the code. Once downloaded and installed, log in to see your game. From there you may download the game to your PC. How to download your copy of Ubisofts "The Division"